Stemming from a deep love and respect for small businesses, Shantel built Imagine Media to give an online voice to companies who wouldn't otherwise have the time to do so. As the previous owner of a Wedding Planning company, and as the previous co-founder of a Non Profit aimed at assisting students in need, Shantel is a go-getter through and through with a huge heart. When she's not networking her way through Atlanta, selling our services to business owners in need, and motivating the team to be the best that they can be, you can find Shantel exploring Atlanta with her big and lovable pup, Gunnar. Read more about how she got started and the story of Imagine Media here. Influenced throughout her upbringing by both artistic and business-minded parents, Margot carries an innate understanding of the creative side of business with her in all of her ventures. She graduated from the College of Charleston with an Arts Management degree, and joined the team just months after it’s start. Since then, Margot has become our Co-Founder + COO. When she’s not striving to perfect the Imagine process, mentoring and coaching all current employees, or overseeing all of our partner relationships, you can find Margot at a yoga class, enjoying a walk with her husband around her neighborhood of Virginia Highland, or trying the newest restaurant in town. Meet Kris, our Social Media Copywriter! She’s a proud Auburn University journalism grad (War Eagle!) with a passion for all forms of storytelling. She values imagination, positivity and hard work and fell in love with the Imagine Media team for their passion and caring culture. When she’s not copywriting in the office, she’s whipping up recipes and writing updates for her food blog. Always on the go, you can find Kris out jogging, scouting for the best tacos around or exploring a new place after hours — all while listening to her favorite music, of course. Kim is a resident expert in all things fashion and food. She graduated from Penn State University with an advertising/marketing degree. She has since gotten married and moved to Atlanta - and we're so glad she did! Her experiences have developed a passion within her for building meaningful relationships and helping others discover it’s power and build them too. She’s a foodie who loves to travel and is a total fashion victim (and product junkie). When she’s not in the office or visiting her hometown of Pittsburgh, Pa, you’ll find her exploring the best eats around the city with her husband and friends or snuggled up on the couch watching the newest hit TV series. Meet Devyn, one of our Social Media Coordinators. As someone who’s always loved finding ways to bring people together, she uses her marketing and communications background to help connect brands with users who share a common story, value or mission. She specifically works hand-in-hand with fashion and lifestyle clients to help them share their stories across social platforms by creating custom marketing strategies and implementing and managing their social presence. When she’s not crafting Instagram Stories or studying Facebook analytics, Devyn’s out and about with her pug, Scooby, or cheering on whichever Boston sports team is playing! Sophie is our Marketing and Events Coordinator, supporting our founders with as the front window to Imagine Media. She graduated from the University of Hawaii with a degree in journalism and a minor in marine science. Her previous roles have instilled in her a passion for content creation, and she helps contribute to our company culture by supporting the needs of the team. Sophie loves to be active outside of work, whether it’s walking with her dog along the Chattahoochie or urban hiking with her husband to the nearest restaurant patio! Meet Chris, our photography assistant! He has a passion for creativity and an eagerness to learn. He has been fortunate to live the best of both worlds so far by growing up by the beaches in Florida and later moving to mountain filled northern Virginia. Brand new to Atlanta, Chris currently attends SCAD as a dual major in advertising and film. When he’s not in the office helping with shoots and editing, he enjoys biking around the city and pursuing personal photography projects. An enthusiastic worker, Chris has big dreams and is always ready to take on any challenge that comes his way. Meet Emily, our Photo Stylist. She’s an idealist, doodler and designer. She believes in grand romantic gestures and writing feelings down in pen. She has a heart for finding beauty in the mundane and a passion to create stories visually. She first found her love for all things creative in high school sharpie doodles and yearbook indesign spreads. She graduated from SCAD with a degree in Branded Entertainment with a concentration in Film. Emily’s a Florida Orange turned Georgia Peach and the last 3 years she’s been learning how to adapt to Atlanta traffic and snow patterns. When she’s not in the office she’s capturing video of the things she loves, dreaming up a personal project or visiting her teenage angst through a throwback playlist. As our Digital Media Coordinator, Laura uses quantitative data to develop innovative advertising strategies for our partners. She graduated from Samford University with a degree in Communication Studies and a concentration in coffee. This social rockstar loves Spotify and creates a playlist every month with her new favorite tunes. As an aspiring Food Network Star - if she didn’t post a photo of her plant-based breakfast on Instagram, did she really eat it? When she’s not optimizing campaigns, Laura is walking the Beltline, taking the C2 class at CorePower Yoga, or hiking with her family in Highlands, North Carolina. Gunnar is our office dog and go-to Instagram model. He enjoys midday walks, attending meetings in the conference room, and relocating paper towels from the trashcan to much more important places. 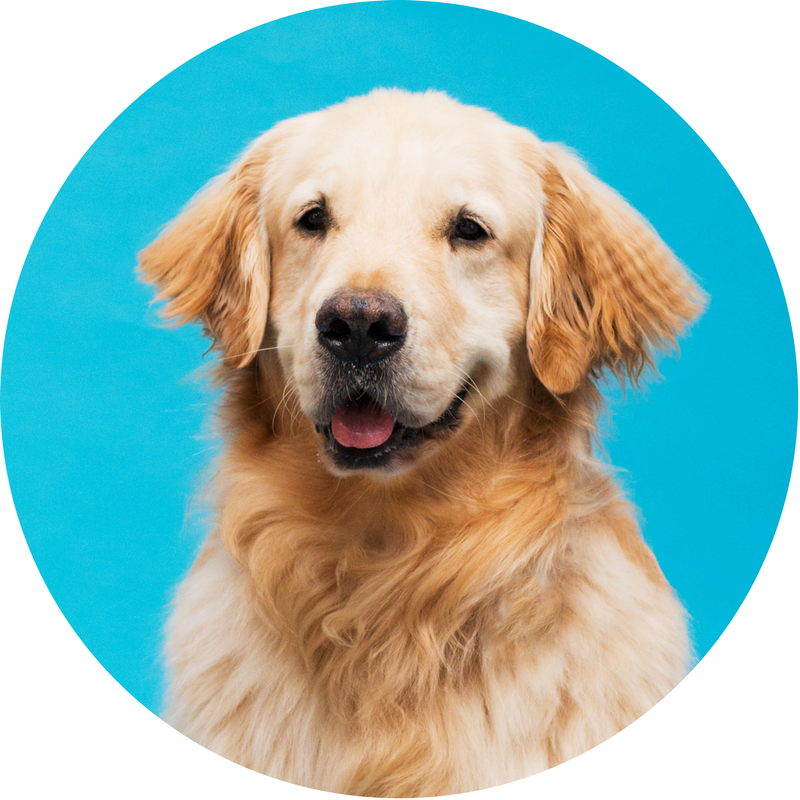 Gunnar will loyally keep you company under your desk while you eat lunch and is always ready to greet guests at the Imagine Media office. As Imagine Media's unofficial mascot since its founding days, he earns a comfortable salary of love and attention from the Imagineers. Becca is our Creative Admin! She joins the team with a wide range of corporate and small business experience, including everything from sourcing to watercolor illustration. Equal parts New Yorker and Floridan, Becca has found a happy balance here in Atlanta. Obsessed with living and working in Old Fourth Ward, you can usually spot her around PCM walking a pup, adopting a new plant, or teaching a painting workshop. Say hey to Hamilton, our Creative Ambassador! Hamilton graduated from Georgia Southern University in May 2017 with a major in Multimedia Communications and Film Production and a minor in Business Management. Hamilton is passionate about everything that is video and photography. He loves creating content for brands all around Atlanta. Hamilton is a Virgo who loves yoga, long walks on the beach and the occasional mimosa. When Hamilton is not strolling across the sand, you can find him listening to his favorite early 2000's angsty playlist on Spotify, remembering how much simpler life was back in 2006. Meet Mariana, one of our Social Media Ambassadors. She is a senior at The University of North Georgia studying Information Systems, and is eager to dive into the world of social media marketing and soak up as much knowledge from the team of Imagineers. With a passion for all forms of art, fashion and design, Mariana has always known she would find herself immersed in the creative world. When she’s not in the office, she is constantly seeking knowledge in the business world and also listening to podcasts (The Joe Rogan Experience, The Elena Cardone Podcast and The Lively Show being some of her favorites), reading, and working on her side hustle of creating digital art for musicians! Maire (pronounced Mar-uh -- she knows, it's complicated!) comes to us after graduating from Clemson University with a degree in Communication Studies and a passion for fashion and culture. Her professional background has shaped her as a jack-of-all-trades in PR, Social Media, Fashion and Marketing, and we couldn't be happier to have her. When she's not working or on the water visiting her hometown of Charleston, SC you can find her cheering on the Clemson Tigers or nose-deep in latest issue of ELLE. Meet Freddy, our Social Media Photographer and creative genius. Freddy graduated from SCAD with a degree in photography and has an eye for shooting fashion, lifestyle and food & beverage. With amazing opportunities shooting models in Mexico City and LA, his work has been published in The Atlantan, Jezebel and Simply Buckhead Magazine. Other than photography, Freddy enjoys swimming and spending time with his min pin and miniature schnauzer. Barbara (Barb for short) is our super talented Lead Videographer. She graduated from Georgia State University where she studied Film and Video Production while also working alongside big names like Ryan Seacrest, Chris Pratt, and The Weeknd to name a few. Barb is a firm believer in collective creativity and has joined Imagine Media to collaborate with amazing people who share the same passion. Outside of the art scene, she is a big fan of volunteering at Children's Healthcare of Atlanta, spontaneous travel adventures, and singing her heart out to her favorite bands. Meet Kasey, our Partner Relationship Specialist! She recently finished up her last semester at Kennesaw State University studying Marketing and Accounting. Kasey has been following the growth of Imagine Media for that past few years, so she knew this would be a great place to gain real-life marketing experience with social media experts. She has a passion for meeting new people and celebrating diversity. When she’s not working, you can find her exploring the best burger joints across Atlanta, hiking Kennesaw Mountain, or jamming out at concerts with friends. From fashion to food, our Creative Manager, Jessie is drawn to visually compelling content. With a background in styling and production, along with client relations, she has made the seamless transition to our Creative Manager role. When she isn’t in the office, she can be found trying and failing to be a vegan, binging a new Netflix series with her one eyed Chihuahua Blinky, or exploring a local art museum or show... in that order. Meet Rachel, one of our Social Media Ambassadors! Rachel graduated from Auburn University (War Eagle!) where she studied marketing. She is passionate about relationships and all things creative, which is what brought her to Imagine Media! She loves meeting new people and is incapable of walking past a dog without petting it. When she’s not working, you can find her having a game night with her friends, buying yet another book she probably won’t finish or practicing calligraphy. As an Account Coordinator, Katherine supports our food and beverage pod with social strategy and campaign execution. Katherine is an Atlanta native who recently moved back to the city after spending 4 years in Asheville, NC. She studied Art History and Economics in college and is currently working towards her Master’s in Digital Communication. Katherine loves figuring out what motivates people and analyzing pain points and data to develop valuable content. When she isn’t working or studying, Katherine is in the kitchen perfecting her homemade dumplings, tackling DIY projects around the house, or hiking with her husband, Andy, and their rescue pup, George. Meet Krista, one of our Social Media Summer Ambassadors! Krista is a senior (time slow down!) at the University of Georgia studying Communication Studies and Entrepreneurship, and is enthusiastic to get her hands into all things social media! She values community, intentionality and creativity, and is most excited to learn from each expert on the team of Imagineers, as well as getting out of her comfort zone and into completely new territory! When she’s not in the office, Krista enjoys volunteering with dogs, jogging on the Greenway, and eating sweets!! Meet Jillian, one of our Social Media Spring Ambassadors. Jillian is a senior a Georgia Tech studying Marketing and minoring in Industrial Design and Spanish. She values creativity, as well as building relationships and creating lasting brand value, which is what brought her to Imagine Media! As a born and bred Atlantan, she loves walking on the Beltline or spending evenings on the rooftop of Ponce City Market. When she’s not in the office or with her german shepherd, Enza, you can find her hunting down some tachos (tater-tot nachos) or enjoying Netflix nature documentaries. Meet Chelsea, one of our Social Media Ambassadors! As someone who is passionate about advocating for others, she is eager to learn all things marketing and use her communications background to create brand strategies. Chelsea met the Imagineers within the Atlanta community who inspired her to fuel her creative mind and welcomed her into the marketing industry! She values creativity, strategy, strong work ethic and unhealthy amounts of coffee. When she is not in the office, Chelsea is working at a special needs clinic, hopping around the Beltline, seeking more knowledge about the digital world or embroidering!